With winter just around the corner, now is the perfect time to consider a humidifier for your home. The cold, dry air can create all sorts of health issues in your family, from dry skin and sinuses to allergies, asthma and problems sleeping. But by using a humidifier in your home, you can increase the moisture in the air and create a more balanced level of humidity. Home Health Living has researched and reviewed the top warm mist and cool mist humidifiers for 2016, and shares its recommendations for the different rooms in your home. When purchasing a humidifier, one of the most important things to consider is the size of the room that you will be using the humidifier in. If you are wanting to humidify only one room, you would not need the same type of humidifier as you would to humidify your whole home. 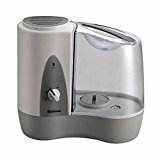 To help you find the best humidifier for a particular room in your home, we have researched and reviewed the best humidifier for home use, with a room by room breakdown. So whether you are after the best humidifier for large room use, or the best humidifier for toddler room use, you can find our top picks and product information in this post. The Vicks warm mist humidifier has a 1-gallon tank capacity and is suitable for a small to medium room, such as a baby room or nursery. The warm mist makes your baby’s room comfortable and at the right humidity level. It has a whisper-quiet operation that won’t wake your baby up, and has a comforting soft-glow light. Its tank capacity means that it can operate up to 12 hours, and the translucent tank lets you easily see the water level. Once the water runs out, the unit shuts off automatically. There are two output settings: one for a small room, and another for a medium-sized room. A medicine cup is included so that you can use the unit with Vicks VapoSteam, which is comforting for young children when they are sick. The tank is easy to clean and as there is no filter required, the Vicks warm mist humidifier is a cost effective option. The Vicks Warm Mist Humidifier is our pick for the best humidifier for baby room or nursery use. The unit has a 3-year warranty. You can read more information about choosing the best humidifier for baby room use in this post. If you’re in the market for the best whole house humidifier, then the Aircare humidifier is a great option to consider. It is a whole house console-style humidifier perfect for whole house humidification. Its 3.6-gallon capacity means that it can operate for up to 36 hours before needing to be refilled and covers up to 3600 square feet. The digital display shows 4 fan speeds with auto mode, and humidity settings that you can customize. Once the humidifier reaches the setting, it stops automatically. Once the unit runs out of water, it shuts off automatically. The display also shows a refill and check filter indicator so you know when to change your filter and to refill the unit with water. The water container is a single bottle design that is easy to refill. Owners of the Aircare whole house humidifier love that it does not disperse white dust like other humidifiers do. This is because the unit uses evaporation rather than dispersion like other humidifiers. The Aircare whole house humidifier is set on caster wheels so that you can move it easily. There is a 2-year limited warranty on the Aircare whole house humidifier. The TaoTronics Warm and Cool Mist Humidifier is a new-release humidifier and diffuser that gives you the option of choosing a warm or cool mist. If you are looking for the best cool mist humidifier, then the TaoTronics warm and cool mist humidifier is a great option to consider. It has a stylish, minimalist design that is suitable for any room such as a living room, office space or bedroom. We recommend the TaoTronics humidifier in the bedroom because you can choose the level of comfort while you sleep. You can also choose to use the night mode, which means all the lights on the display will switch off. You can easily switch between the cool and warm mist functions. The warm mist can be heated up to 101 degrees F (38 degrees Celsius) in around 30 minutes. There is a 159-gallon (6 liter) capacity water tank that allows overnight operation, making the TaoTronics humidifier perfect for bedroom use. Once the water level is low, the unit will switch off automatically. The TaoTronics humidifier has an LED display and has built-in features such as 3 different mist output intensities, a control lock, timer mode and night mode. You can also preset your desired humidity level. The unit has two filters: one is built-in, and removes bacteria and bad odors before the mist is dispersed, while the second filter is a disposable air filter to prevent dust from spreading into the air. The unit can be used as an essential oil diffuser: simply add 5-6 drops of your favorite essential oil into the separate oil container and enjoy up to 3 hours of diffused aromas. There is a 12-month warranty with the option to extend by another 6 months by registering the unit. 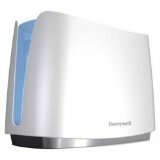 A great option for medium sized rooms or if you are looking for a small humidifier for office space, the Honeywell UV Germ Free cool moisture humidifier is an effective and easy to use humidifier. The Honeywell cool moisture humidifier features UV technology to help kill bacteria, mold and fungus in water so that you are left with cleaner humidified air. Water flows from the water tank and into the path of ultra violet light, which kills any bacteria, mold and fungus. The Honeywell cool moisture humidifier uses a Protec antimicrobial filter. It has a large tank with a 2-gallon capacity (7.5 litres) and is easy to fill, clean and carry. The components are dishwasher-safe. The unit has a quiet operation, which makes it a great choice for offices or other quiet working spaces. It is a self-regulating evaporative system, which means that the unit is able to naturally adjust the level of output according to the humidity level in the room. This means you don’t need to be constantly switching the unit on and off. Even though the humidifier is a cool mist humidifier, this simply means that the mist itself is not warm, but it does not change the temperature of the room. There is a 3-year limited warranty. The Vicks cool mist humidifier that is filter-free is perfect for small rooms as it comes in a mini size. Its water tank has a capacity of 0.5 gallons (around 1.9 litres) and is translucent, so that you can easily monitor the water levels and know when to refill it. The unit also has an auto shut off feature, which shuts down the unit as soon as it runs low on water. On the lowest setting, the Vicks cool mist humidifier can run for up to 20 hours. This is a great option to have in a small room such as your bedroom, that you may leave on overnight. There is a knob so that you can control the output level, and a soft night light. The Vicks cool mist humidifier is filter-free, so you don’t have to worry about costly filter replacements. And you can use it with Vicks VapoPads if you are wanting a soothing scent to help you with respiratory problems. Home Health Living has chosen this Vicks humidifier as the best cool mist humidifier for small room use. If you’re looking to buy an Air O Swiss humidifier, then you may not be aware that Air O Swiss has now changed its name to Boneco. So the Boneco Warm or Cool Mist Ultrasonic Humidifier is actually an Air O Swiss humidifier but under a new brand name. Although there are a few different Boneco humidifiers, we have chosen the Warm or Cool Mist Ultrasonic Humidifier 7135 model because it is more suitable as a humidifier for large room use. 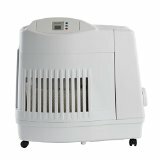 We believe it to be the best cool mist humidifier and best warm mist humidifier for large room use. You can choose to operate the unit as a warm or cool mist humidifier. Some people prefer to use the warm mist option during winter and the cool mist option during summer. Its water tank has a capacity of 1.75 gallons (around 6.6 litres). On the highest output level, its output is up to 3.5 gallons per 24 hours for rooms up to 650 square feet in size. There is a programmable hygrostat so that you can set the desired humidity level. Operation is whisper-quiet, and an auto mode function is available. There is also an auto shut-off function once the water runs out, and a notification to remind you to refill the water or to clean the unit. There are 3 performance levels, including a sleep mode which is a low-noise night time mode. There is also a timer function available. The product comes with a demineralization cartridge which prevents the typical white dust that you find when using an ultrasonic humidifier. It also includes a Hydro Cell which helps keep the water fresher for longer. 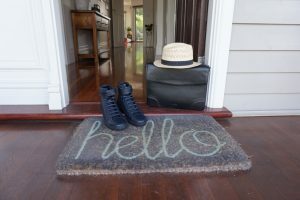 So if you are looking to buy an Air O Swiss humidifier, then the Boneco is the humidifier you are after. Remember, Air O Swiss has changed its name to Boneco! The Holmes Warm Mist Humidifier has been specifically designed for use in small rooms, so we believe it’s a great option for a humidifier for toddler rooms. The warm mist option is favored by many parents during the winter months. Its water tank holds around 2.3 gallons of water (8.7 litres) and can operate up to 24 hours before needing to be refilled. There are 2 speeds available. Anti-microbial protection has been added to the plastic to prevent the growth of bacteria. There is no filter in the Holmes Warm Mist Humidifier, so you don’t have to worry about costly replacement filters. Just simply clean the humidifier on a regular basis. The tray is also dishwasher safe. 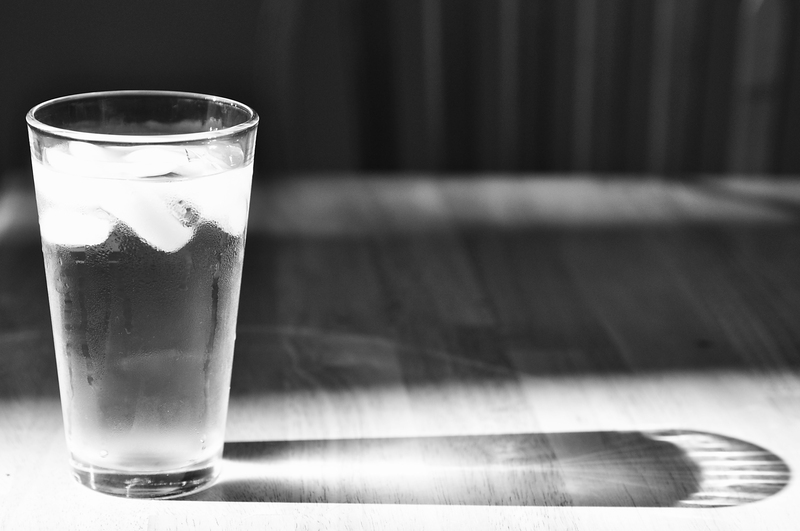 The manufacturer recommends cleaning the unit on a regular basis using vinegar and water, or using distilled water. The Holmes Warm Mist Humidifier is a great budget option for families with toddlers. When choosing the best humidifier for a room, remember to consider the size of the space and the features you are looking for. Consider whether you want a warm mist humidifier or a cool mist humidifier, or if you need a humidifier with both warm and cool mist options. When reading other reviews of humidifiers, keep in mind that negative reviews or feedback often arise when people don’t know how to correctly use a humidifier. Humidifiers needs to be cleaned on a regular basis and the water needs to be changed to prevent bacteria and mold growth. Always remember to follow the manufacturer’s instructions and change the filters on a regular basis as required. There’s a humidifier available for any room in your home, depending on where you are wanting to use one. Whether you are looking for the best whole house humidifier, an Air O Swiss humidifier or want to know the best humidifier for baby nursery or use, reading our reviews will help you make the best buying decision.